Have you ever missed your original gravity (OG) target when brewing all grain beer? Its not an uncommon problem for beer brewers, particularly when you start all grain brewing or change you equipment setup. This week we’re going to examine some of the possible causes of low OG and also how to mitigate them. Before we can talk about “missing” an original gravity we need to look at getting a good estimate for OG in the first place. The best way to predict your OG is to use software like my program BeerSmith with a good equipment profile set up for your particular brewing system. With your equipment set up and recipe entered it will give you a good estimate. Alternately you can calculate the OG estimate by hand. This calculation is covered in general here, or for the all grain case here, or alternately you can use a variety of original gravity calculators online. One challenge with doing it by hand, however, is that you need to know the potential for every grain used as well as be able to calculate losses accurately. Probably the worst way to estimate your original gravity is to use the figure that came with the recipe or kit. While it may be an accurate figure for the beer brewed by the manufacturer, the fact is that every brewer uses slightly different equipment with different losses. Once you have your OG estimate and brew the beer, you often miss. Occasionally the OG comes in high, but more often your original gravity will be lower than you predicted. So what do you do next? Grain Milling – For all grain brewers, poorly crushed grains can have a large effect on original gravity. Your grains should be crushed finely – with the center of the grain forming a fine powder. Large pieces of the husk should be left intact, however, to form a bed for filtering during the lauter. A dual roller mill like the Barley Crusher (full disclosure – we sell these) works best for crushing your grains. Sparging – If you sparge too quickly, have a poorly designed mash tun filter, or sparge the wrong volume you can get a low OG. Take your time when sparging, which will let the wort extract as much as possible from the grain bed. Also design of the mash system can have an impact. A cylindrical (Gott or Igloo style water cooler) with a full size false bottom (screen type) will generally yield higher efficiency than a flat picnic cooler with only a few copper tubes acting as the filter system for example. Measure your Volumes – If you have not accurately measured your volumes at each stage in the brewing process and accounted for losses along the way, it can have a huge effect on your OG. For example, a 10% increase in final volume can result in a 10% decrease in OG. So to hit your target OG, you also need to hit your volumes at each step – into the boiler, post boil and also into the fermenter. If you find your volumes don’t match your equipment profile – then adjust your equipment profile until you have a good match with your brewing style. 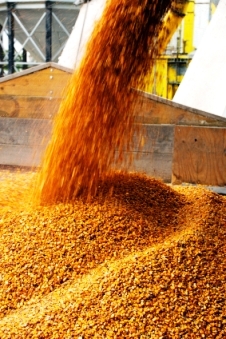 Additional Tips: Here are some more tips to improve your all grain efficiency. Once you’ve missed your OG, and looked at potential causes, you are usually faced with the problem of what to do with your existing batch? Fortunately it is not hard to adjust the OG of wort as it goes into the fermenter by using some water or some dry malt extract. I usually keep a few pounds of light DME around just in case. Now we need to raise our gravity by 8 points which means we need to add 8 points/gallon of dry malt extract (DME) equivalent. Assuming a 5 gallon batch size, we need a total of 40 points of DME. DME has a potential of 1.046 which means it contributes 46 points/lb added, so we simply take the 40 points and divide it by 46 to get 0.9 lbs of DME to add. This time we’ll assume our target was 1.056 but we overshot and came in with a gravity of 1.064, again using a 5 gallon batch. We’ll use the fact that the number of points times volume should be a constant to do the dilution. That covers some potential causes of missed gravity as well as how to adjust your gravity if you miss your target. Thanks for joining me on the BeerSmith Home Brewing Blog. Be sure to sign up for my newsletter or my podcast (also on itunes…and youtube…and streaming radio station) for more great tips on homebrewing. Also check out the How to Brew Video series I shot with John Palmer if you want to learn more about all grain brewing. I always enjoy your articles. I was just thinking that in this case it might be good to touch base on keeping the wort sterile when or after making adjustments? Diluting to reduce gravity also reduces bitterness, does it not? How would you go about increasing bitterness to compensate? Thanks for making good website for me and others to learn from. I follow you on twitter and had to use another name other than my own, so I put my cats’ name together with my favorite hobbie. Came up with @starshiptigers anyway it’s no more silly than any one else’s. That is the real reason they all have silly names….One day I want to brew. I am in MN and am looking for a job with a bar or brewery, right now. I am in Mpls area. Thanks for this article. Been brewing for just over a year and yesterday had my first batch that had a low OG. It was quite low, based on your formula, I need to add nearly 3 pounds of malt. The problem is that I have to order all of my supplies. So I called AustinHomebrew (where I got my kit) and asked if I should pitch my yeast or wait until the extra malt arrived. They had me pitch (to avoid contamination), which I did, and its bubbling perfectly. So I pitched at Noon on Sunday. My order won’t arrive until around Noon on Tuesday. Do I just add it in and shake my carboy really well? It just doesn’t seem like the malt powder will dissolve that quickly. Any suggestions? This was incredibly helpful for me. I modified a recipe with a decoction mash to a steeped mash. Missed the target OG by a lot. But I happened to have a good stash of DME and was able to turn an all-grain recipe into a partial mash and still come pretty close. Thank you for this article. I’m going to add it to my recipe book for future formulations. Very helpful article, but I still have a question about calculating the amount of DME to add. My batch size is 5.5 gallons (into the fermenter), however, I expect my post boil volume to be about 6.3 gallons. The difference is due to expected losses for trub, and chilling. Pre boil, my volume is 6.8 gallons. In your example above, you needed 8 points per gallon of additional sugar, but which volume would I multiply the 8 points by? My feeling is that I would multiply the 8 points by the 6.3 gallon post boil volume, but I’m not sure. Please help! It would be the volume you are adjusting so if you are adjusting gravity pre-boil you would use your pre-boil (ideally measured) volume. Wait, so if I over-sparge – meaning, for example, my pre-boil volume is supposed to be 4.8 gallons and I sparge it to 5.1 gallons, that even if I boil it longer to get my post-boil volume of 3.33 gallons that I have already diluted my wort too much so I will miss my OG? In the above case I missed by 12 points.